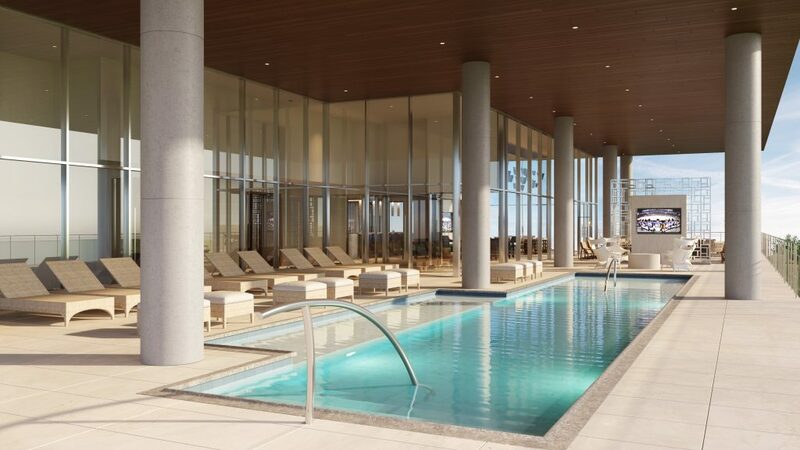 A 17-story luxury residential tower, Twelve forms the final piece of The Star’s live-work-play atmosphere. It’s the first ever luxury residence built on the tradition of a football team, a residential building actually located at the team’s headquarters. 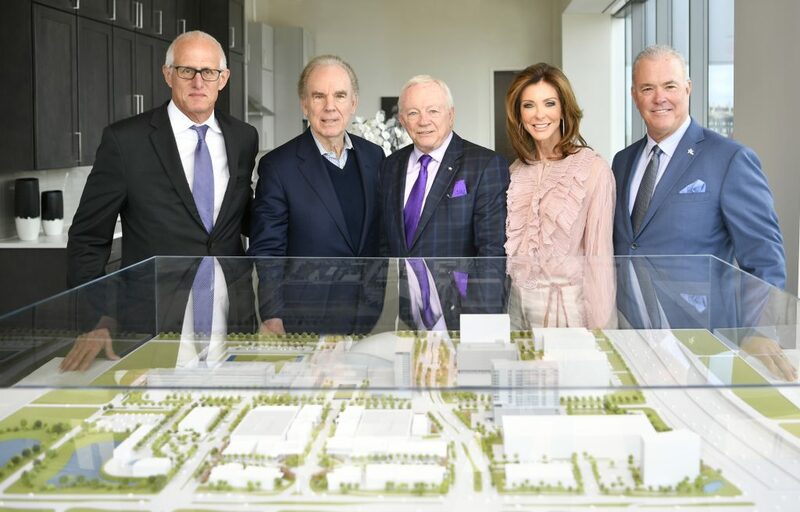 It’s co-created by Cowboys Hall of Fame Owner Jerry Jones, Cowboys Hall of Fame Quarterback and #12 Roger Staubach, alongside Dallas-based developer and Cowboys Alum Robert Shaw, designed by Charlotte Jones Anderson. “This says Dallas Cowboys,” Jerry Jones said in the press conference. They’re apartments for the modern day Cowboy. 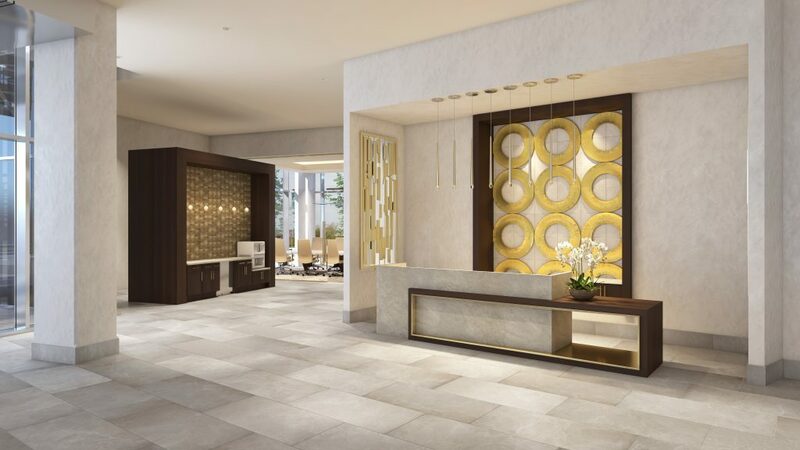 Twelve offers plenty of top-notch amenities: a 24-hour concierge, on-site business center, fitness center, and other exclusive resident perks. As for pets, there are no breed restrictions or weight limits, but there is a designated pet elevator and on-site dog park. Dog-walking services are available. Most units receive two reserved parking spaces in the private garage. The sixth floor has a covered pool. It’s all pretty standard for luxury high rise apartments. 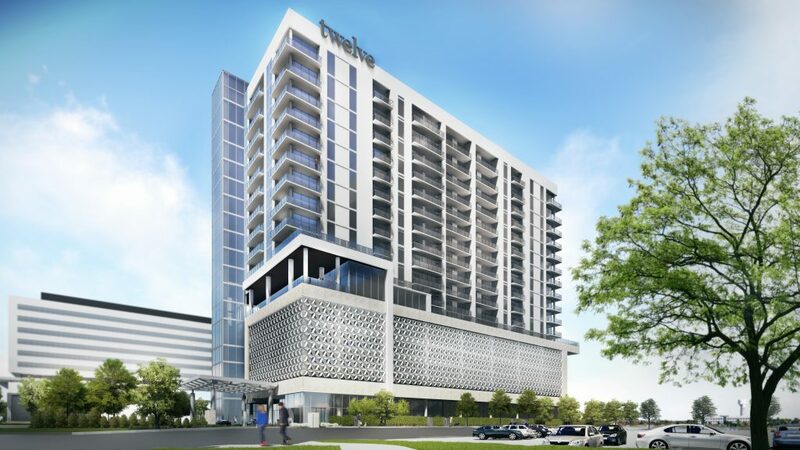 The apartments, tastefully designed by Charlotte Jones Anderson, are one, two and three bedroom plans, ranging from 850 to 3,600 square feet. All are outfitted with convenient keyless entry, light and dark kitchen schemes with waterfall islands, quartz countertops, dual zone wine refrigerators, glass-enclosed showers, smart-phone controlled thermostats and floor-to-ceiling windows. As Charlotte explains, the design is clean and inviting, but also expressive. “It was really important to me that we had a palette that made you feel good when you walked in … but then allowed you to come in and put your own thought to it,” she says. “You get to bring you. It’s warm and neutral and you get to feel important in this space.” As luxury apartments go, so far, so expected. 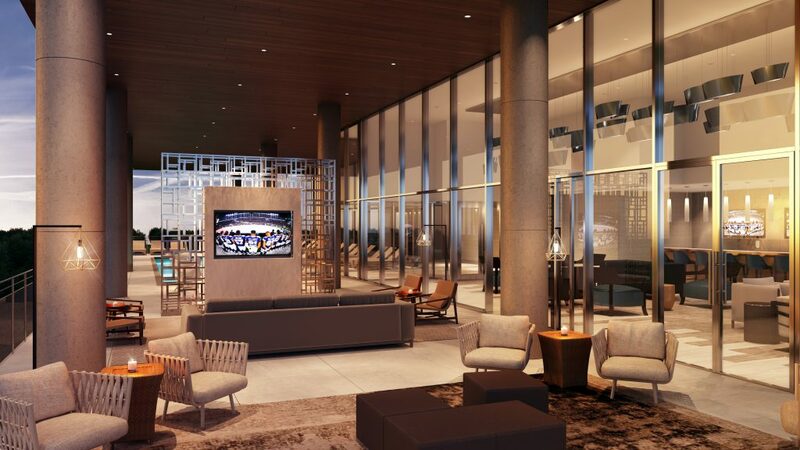 But being a resident also secures you access to the Cowboys Club, a members-only club “designed to invite collaboration and entertainment in a social environment.” Or, as a tour guide said to me, a country club without the golf. The club overlooks the practice field and offers multiple dining options and events. Residents also get elite access to the team, and immediate access to a new level of team spirit. Among the many perks are luxury travel options to AT&T Stadium for game, and priority placement on season ticket waitlists, preferred pricing at the Omni Frisco Hotel, designated days when they can watch team practices at The Star, and four complimentary VIP tours of The Star and AT&T Stadium each month. No one has ever capitalized on a team like this, on the allure of having a Dallas Cowboy as a neighbor, of living, working, playing, thinking like a Cowboy. with as much luxury and exclusivity to offer as possible. Homes are available starting at $2,700 per month. Doors open in 2020. Twelve Cowboys Way is now leasing.